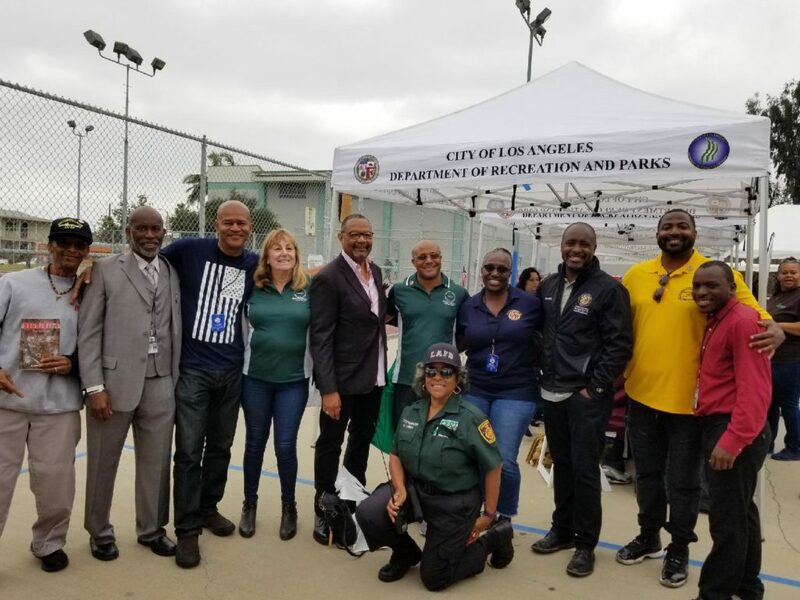 (Left to right) Guest, Field Deputy for Marqueece Harris-Dawson Anthony Anderson, ECCANDC Secretary Leonard Delpit, Park Mesa Heights Board Member, Assemblymember Reggie Jones-Sawyer, Park Mesa Heights Board Member, ECCANDC Treasurer Loraine Curry, ECCANDC Board Member Ellen Pace, Councilmember Marqueece Harris-Dawson, Southwest NC President Brent Page, ECCANDC Board Member Breon Hollie. Park Mesa Heights was a proud sponsor of the Veteran’s Memorial Day Celebration on Saturday, May 19 at St. Andrews Park. The event was a great way to celebrate and thank our veterans. Several PMHCC Board Members were on hand to greet veterans as were our Councilmember and Assemblymember. The VA was on hand providing services on site. Attendees enjoyed breakfast and lunch, free health screenings and more at this informal gathering. We were pleased to join with Empowerment Congress Central and Southwest for this great event. 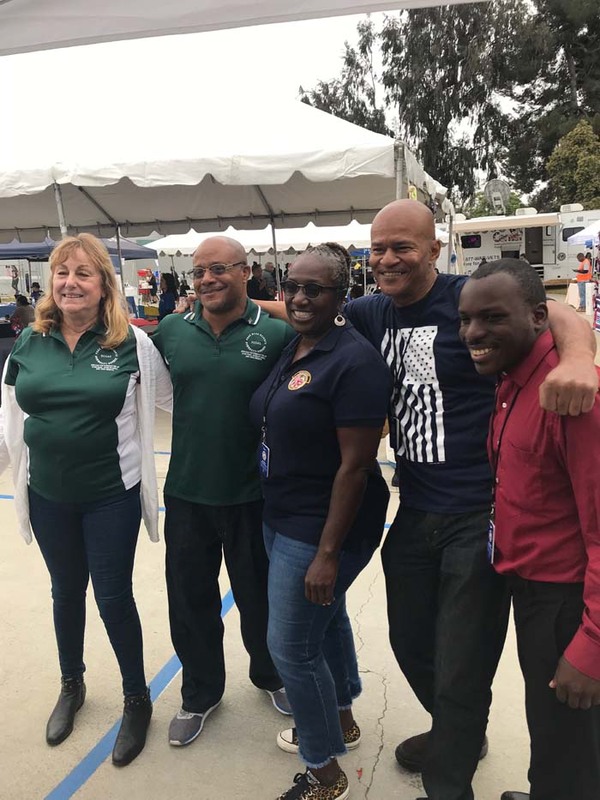 (Left to right) Members from Park Mesa Heights, ECCANDC Board Members Ellen Pace, Secretary Leonard Delpit, Breon Hollie.